Shockingly, more than 100 million American adults are now living with diabetes or pre-diabetes, and countless more have less severe—but still unhealthy—blood sugar levels. What was once a rarity is now commonplace. 1. You don’t have enough antioxidants in your life. 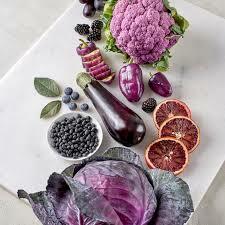 Antioxidants are found naturally in healthy foods like colorful fruits and vegetables. Several different types have demonstrated blood-sugar-regulating properties. For example, several studies have shown that alpha-lipoic acid supplements helped balance blood sugar levels and improved insulin resistance. This antioxidant also strengthens immunity, improves energy production in cells, protects brain cells against excitotoxicity, and helps the body remove excess toxic metals. For blood sugar control, take 200 milligrams three times a day. In addition, proanthocyanidin—a bioflavonoid found in cinnamon—may alter the insulin signaling activity in fat cells, making it a potential diabetes buster. The spice has also been shown to significantly reduce blood sugar levels and triglycerides in people with type 2 diabetes. EGCG is a compound in green tea and has demonstrated a stabilizing effect on blood sugar levels. Drinking the whole green tea leaf in the form of matcha powder is a great way to up your EGCG intake. Studies also suggest that PPARs, or peroxisome proliferator-activated receptors, may help improve inflammatory conditions like blood sugar problems. Some PPAR activators for you to bring into your life: wild-caught fish, green tea, astragalus, ginger, and sea buckthorn. 2. You’re snacking too much. Snacking in between meals can be fine once in a while, but if you are consistently having or wanting to snack, it’s a good sign that you are on the blood sugar roller coaster. This way of eating is consistently keeping insulin and blood levels up, with little or no time to recuperate. Intermittent fasting is a great tool that can help regulate the hormones that govern blood sugar. When patients come in with blood sugar problems, I like to recommend IF due to its proven ability to increase metabolism and lower insulin resistance. If you have a blood sugar problem and want to try fasting, it’s key to work with a doctor who can monitor you and slowly increase the length of your fasts as your glucose stabilizes. Leptin resistance, another hormonal resistance pattern that leads to weight gain and weight-loss resistance, has also been shown to improve with IF. 3. You are low in key micronutrients. According to research published in the medical journal Circulation, in a group of nearly 5,000 people, those who took higher levels of magnesium over a period of 15 years had a decreased risk of metabolic syndrome—a condition that is often a precursor to diabetes. A similar study, published in the American Journal of Epidemiology, followed more than 1,000 healthy adults for five years and found that greater magnesium intake improved insulin sensitivity. Other studies have shown that magnesium improves triglycerides and high blood pressure—two other hallmarks of metabolic syndrome and diabetes. When chromium levels are low, good cholesterol tends to drop, and the risk of insulin resistance, as well as triglyceride levels, go up. Chromium supplementation has been shown to improve blood sugar receptor function. The best food sources of chromium include onions, tomatoes, potatoes, and sea vegetables. 4. You aren’t sleeping well. The relationship between poor sleep and blood sugar problems is a vicious cycle. Poor sleep will negatively affect your blood sugar levels over time, and your blood sugar levels can hurt your sleep. The less we sleep, the higher our blood sugar rises, so it’s no surprise then that people with chronically poor sleep are at an increased risk for diabetes. Research has shown that people who slept less than six hours a night had more blood sugar problems compared to those who got eight hours of sleep. Sleep is not a luxury; it’s a necessity. 5. Your water-soluble vitamin intake is low. Methylation is a complex process that supports many crucial functions in the body, including healthy blood sugar balance. Activated B vitamins—like B9 L-Methylfolate (L-5-MTHF) and B6 Pyridoxyl-5-Phosphate (P5P)—are a great way to support methylation pathways. Food medicines to focus on are spinach, okra, turnip greens, and meats like chicken liver or grass-fed beef liver, which have the highest levels of bioavailable B vitamins. 5. Your body wants more fat-soluble vitamins. The fat-soluble vitamin tocopherol—or vitamin E—has been shown to support insulin sensitivity. Standard doses range between 600 and 900 milligrams. Most people have low vitamin D levels, which can cause a host of problems, but in one study, supplementing with vitamin D for 12 weeks decreased body fat by 7 percent, and lower weight correlates to better blood sugar control. Low D levels have also been linked to metabolic syndrome. Aim for 60 to 80 ng/mL per day. 6. Your microbiome is out of balance. Your gut health and blood sugar balance are inextricably connected. One study found transplanting the microbiome of diabetic mice into healthy mice made the recipients diabetic! Among the culprits are advanced glycation end products (AGE)—harmful compounds that have the potential to cause leaky gut. A high-sugar diet can also tip your microbiome in the wrong direction, causing candida overgrowth, which is also linked to blood sugar problems. What’s good for your gut is good for your blood sugar, and vice versa. 7. You’re not eating enough healthy fats. You’ve probably heard that omega-3 fatty acids can lower the risk of stroke and heart attacks, but these healthy fats most prevalent in fish oil also convert the potentially harmful very low-density lipoproteins (VLDL), which are linked to diabetes, into less dangerous low-density lipoproteins (LDL). One study found that higher blood sugar in non-diabetics decreased function in areas of the brain affected by Alzheimer’s disease (AD). This is one reason Alzheimer’s is often referred to in the medical literature as “type 3 diabetes.” On the other hand, a ketogenic diet—where fat, not sugar, is your primary source of energy—has been shown to do some remarkable things for your brain health. Healthy fats provide a slow, sustainable form of energy, subverting the more drastic ups and downs that can happen with sugar burning. Humans were meant to rely more on fat and less on sugar. For example, babies primarily use the fat in breast milk for brain development and energy. Healthy fat is, undoubtedly, the most sustainable form of energy for optimal brain health—as well as blood sugar control.